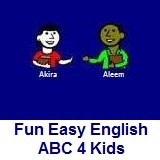 ﻿ Fun Easy English - new writing english alphabet for kids letter d.
Hey kids, try writing the letter D.
Taiko is the word for drum in Japanese. There is a computer on my desk. I keep my clothes in a dresser. We saw a deer in the mountains.